7:00 pm - Potluck dinner - Bring something to share! Please join AHCA. Use the form in this issue so you can vote at the meeting on October 15. Write to AHCA-subscribe@yahoogroups.com to get e-mail about construction, lost cats, meetings, and other fun stuff. Friday, December 13, 6:00 p.m. - Christmas Caroling; meet at TJ parking lot at intersection of 2nd Street and S. Ivy. Should AHCA Support 'Townes Decks? Arlington Heights Townes Homeowner's Association has applied for a site plan amendment to the townhouse plan on the corner of Glebe Road and 5th Street South to allow for the addition of decks. First, an explanation. We found out the County did not allow decks on our townhouses when I applied for a building permit for my home at 3376 S. 5th Street. After gathering as an association, we realized none of us had been informed by Dittmar that building a deck was applied for and denied, and in fact a few of us asked the builder directly about decks and were not told. Since then, I have applied for an administrative change to the site plan, not realizing this had been denied to Dittmar previously, and of course it was denied again because it has to go back to the Board. Then, the County directed me to apply for the site plan amendment which I have done, and plan to present to the board for their approval. Our case was originally scheduled to be heard at the 9/14 meeting, but because the Civic Association position did not meet in August, and their official position is not available to the Board, we will be rescheduled for 11/16/02. I applied for my building permit in March, and have been working on this since then. I researched the archives of the group mail and found that there is opposition to the decks being built from a few individuals. I would like an opportunity to discuss this, and understand everyone's opinion, perhaps at the Civic Association meeting in October. While I read the e-mails, I was unable to determine the actual reason for the strong sentiment to deny us being able to have a deck on our houses. I realize a good deal of the opposition was when Dittmar applied, and I don't know all the history, but we are not Dittmar anymore. We are your neighbors, and I believe a positive addition to the community who would like your support. I'm sure I have seen and talked to many of you on my walks with the dog. We of course want to have a deck because it will improve our lifestyle to be able to enjoy a deck like I'm sure many of you do. But in addition to that, it will increase the value of our homes, which is of benefit to the neighborhood as a whole. I can tell you if the builder had been honest with me about not being allowed to build a deck, I wouldn't have bought an expensive home with giant sliding glass doors that could never be used for anything. 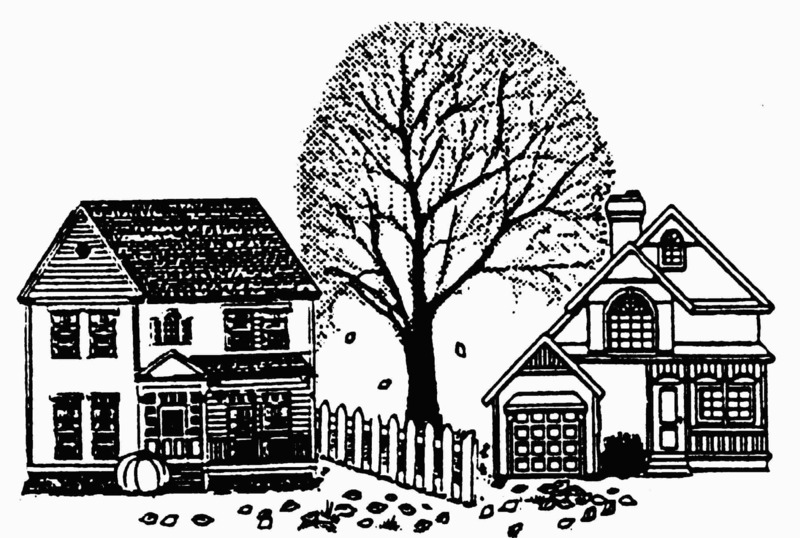 Arlington Heights Towns Homeowners plan to take an active interest in the decision on what is or is not permitted for our homes so the case may be reviewed with all the facts and opinions, especially of those involved. We will be at the Arlington Heights Civic Association meeting on 10/15 (yes we plan on joining) to present all the information we have to you about the proposed decks, and our intentions. I, or one of the other homeowners will personally visit all the homes that are next to, or have a view of the townhouses to see what their opinions are, so everyone affected will have a say. I agree with the previous comments that to those who have not been receiving these e-mails, the decisions may be weighed unfairly. I apologize for not communicating earlier on this matter, but I am a first time homeowner, and all the usual business associated building a deck has been a new experience. Plus, this has been compounded by the additional requirements for the administrative change, and the site plan amendment. I have been trying to learn all the things that need to be done, community support, and I didn't know about the Civic Association's interest or role in this. I look forward to meeting you at the October meeting. Every six months, AHCA must vote on our Neighborhood Conservation priorities, or else we lose points in the project ranking process, risking postponement of our much-needed neighborhood improvements. "1. Installation of Carlyle type street lights on 2nd Street South between South Glebe Road and South Fillmore Street; on 1st Road South between South Glebe Road and Old Glebe Road; and on Old Glebe Road between 1st Road South and 2nd Street South. "2. Completion of installation of Carlyle type street lights on 6th Street South between South Glebe Road and South Walter Reed Drive, and installation of Carlyle type street lights on South Garfield Street between 6th Street South and 7th Street South. "3. Installation of curbs, gutters, and Carlyle type streetlights on South Garfield Street between Arlington Boulevard and 2nd Street South. "5. Installation of curbs, gutters, and Carlyle type streetlights on South Irving Street between Arlington Boulevard and 2nd Street South. "6. Installation of Carlyle type street lights on South Ivy Street between South 7th Street and South 9th Street, on South Highland Street between South 9th Street and Columbia Pike, and on South 9th Street between South Glebe Road and Walter Reed Drive. "7. Installation of Carlyle type street lights on South Highland Street between South 7th Street and South 9th Street. "8. Installation of Carlyle type streetlights on South 5th Street between South Glebe Road and South Jackson Street." Visit Columbia Pike Revitalization Organization's web site www.columbiapikepartnership.com for continual updates regarding the charette results. We invite you to attend Columbia Pike Transit Forum, Friday, October 18, 7:30 pm, at Sheraton National Hotel, 900 S. Orme Street in Arlington. The presentation describes public transportation options for Columbia Pike. We also invite you to a meeting on the Form Based Code, Monday, October 28, 7:30 pm, at Sheraton National. The Farmers Market at Columbia Pike and S. Walter Reed Drive is open Sundays, 10 am - 2 pm, through November 10. The Farmers Market at N. 14th and N. Courthouse Road is open Saturdays, 8 am - 12 noon, through December 21. Following Captain Michael Dunne's report at our October 15 meeting, Patricia Bullington-McGuire hosts the first meeting of Neighborhood Watch at her home, 300 S. Jackson Street, Tuesday, October 22, at 7:30 pm. Anyone interested in participating is invited to come. Join the school's staff, students, parents, and neighbors on Saturday, October 19, 10:00 am to 12 noon to clean and beautify the school grounds. We dedicate and cut the ribbon for the new playground equipment, then share a picnic. Please bring gardening tools and side dish or dessert for the picnic. The PTA provides drinks and hot dogs. Arlington's ballot on November 5 includes a bond issue for Arlington Community Projects encompassing six components - community conservation; parks and recreation; public safety; pedestrian systems, streets, highways, and traffic; Metro; and storm drainage -- grouped together into one bond question totaling $67,428,500. Community conservation provides funding for the construction and rehabilitation of streets, curbs and gutters, bikeways, sidewalks and other pedestrian ways including traffic calming efforts, including $9 million for citizen-initiated improvements through Arlington County's Neighborhood Conservation Program. Parks and recreation includes funding to acquire open space and develop recreation and community facilities. Public safety funding improves three Arlington fire station facilities. Pedestrian systems, transit, and transportation projects include the construction, rehabilitation or replacement of and improvements to pedestrian systems, streets, highways, transit, bridges, curbs and gutters, bikeways and sidewalks. Metro funds fulfill Arlington's continuing obligation to Metro. Storm drainage funding improves and replaces storm drainage systems throughout the county. At 9th Road and Garfield, Arlington County's Business Conservation Program soon fixes curbs and gutters, installs sidewalks with decorative pavers, removes old railing, installs Carlyle lights, repaves the road, and plants trees. Light placement, tree species, and details are open for discussion. Tony Fischer, owner of Arlington Cinema'n'Drafthouse (703-979-0345) is AHCA's volunteer project leader. Repaved this summer: 000-100 South Hudson, 200-500 South Highland, 600 South Irving, and 3200 9th Street. lists all 2002 paving projects County-wide. Contractors are deep into Arlington Heights Park, fixing phone cables damaged during fiber optic excavations in spring. According to Kevin Welch of Arlington County's Department of Parks and Recreation, work begins on the park by the end of October. Work includes the installation of a fence, benches, and a trash can. Once this work is done, next year, AHCA requests funds from the County to add a drinking fountain to the park. Greengrocer Stan Jackson has asked to return to the park after it is transferred from Public Works to Parks and Recreation. AHCA can consider this request on October 15. I thank Mary Hashemi (maryhashemi@yahoo.com) and Megan Booth (jj-megan@mindspring.com) for editing this edition of Over The Fence, and I look forward to working with them on future editions. Thanks! AHCA offers its deepest sympathy to Elizabeth Swid of 5th Street South, who lost her father recently. Wayne Cofer of South Garfield broke his arm is a fall. He is home recuperating and appreciates calls and visits. Thomas Jefferson Community Center's renovated gym opened September 5 with a new floor, track, basketball backstops, and bleachers. It's well worth a visit. Fall hours at TJCC are M-F 6:25 am - 9:50 pm, Sat 8:00 am - 5:50 pm. Friday night high school track mmeets start on December 6. We also hear that TJCC's remodeled auditorium will be open to the public soon. Q. Patrick Henry has a new principal? A. Yes, my name is Lisa Piehota. I began serving as Principal of Patrick Henry Elementary a few days prior to the opening of school. My family and I have recently moved to Virginia from New Jersey where I was Principal/Superintendent in a small elementary school district. During my career, I have been a classroom teacher, curriculum coordinator, assistant principal of an elementary school, and principal of both elementary and middle schools. I have also taught early childhood education courses at the college level. Prior to entering the field of education, I served seven years active duty with the U.S. Air Force. My educational background includes a Bachelor Degree from Florida State University in Elementary Education, Masters Degree in Educational Leadership, and Doctorate in Child and Youth Studies with an emphasis on Curriculum Development and Systemic Change. My husband and I have two children, seventeen year old twins, who are currently in their senior year of high school and looking forward to entering college next year. Q. What do you think of the programs at Henry? A. It is my personal goal to provide students with an environment that will facilitate the highest level of learning potential as well as encourage advanced levels of personal development and I am excited by the opportunities for educational advancement that children receive at Patrick Henry. The faculty works diligently to meet the diverse needs of each and every child. Q. What about overcrowding? Was that resolved? A. Since the boundary changes were implemented in September, 2001, Patrick Henry has a student population of 419, which is below our capacity of 437. Q. When Mrs. Johnson was at Patrick Henry, we were able to volunteer in various ways. Do you plan on including the community? A. I believe strongly in home, school, and community collaboration. As a matter of fact, on October 19, we have a community picnic and school grounds clean-up. The school holds a grounds clean-up 10:00 am -12:00 noon on Saturday morning followed by a picnic at 12:00 noon. There are a variety of ways in which community members can volunteer at Patrick henry. I invite community members to join me in continuing our progress through a collaborative, educational effort between the community and school. For more information, please call Ms. Chris Doherty at 703-228-5820. A note to let you know how we can help your family, friends, and work associates you refer to us. Carol & Kevin had considered moving from their small 2 bedroom colonial in South Arlington. Once their new baby arrived, they definitely needed more space. They had been referred to Casey O'Neal by John, a neighbor who Casey had helped sell and buy another home. Casey and Rosemarie consulted with Carol & Kevin about strategies for selling and moving up to a larger home. Because they had significant equity in their home, Casey referred them to a lender who could qualify them to purchase a new home before selling their existing home. Carol and Kevin didn't want to feel pressured and wanted to have enough time to find the right home. When they found a desirable home, they had to act quickly because of multiple offers on the property. Casey & Rosemarie were integral in working with the listing agent to negotiate the purchase for their clients. Then Carol & Kevin listed their existing home and sold it quickly. Casey & Rosemarie orchestrated a simultaneous closing which eliminated the need for bridge financing, with a rent back option to allow for a smooth move directly from one home to the next. Carol & Kevin and their young son now live in a wonderful 4 bedroom home with plenty of room for their growing family. PS. If you or someone you know could benefit from expert buyer or seller representation, please call or email us for advice!